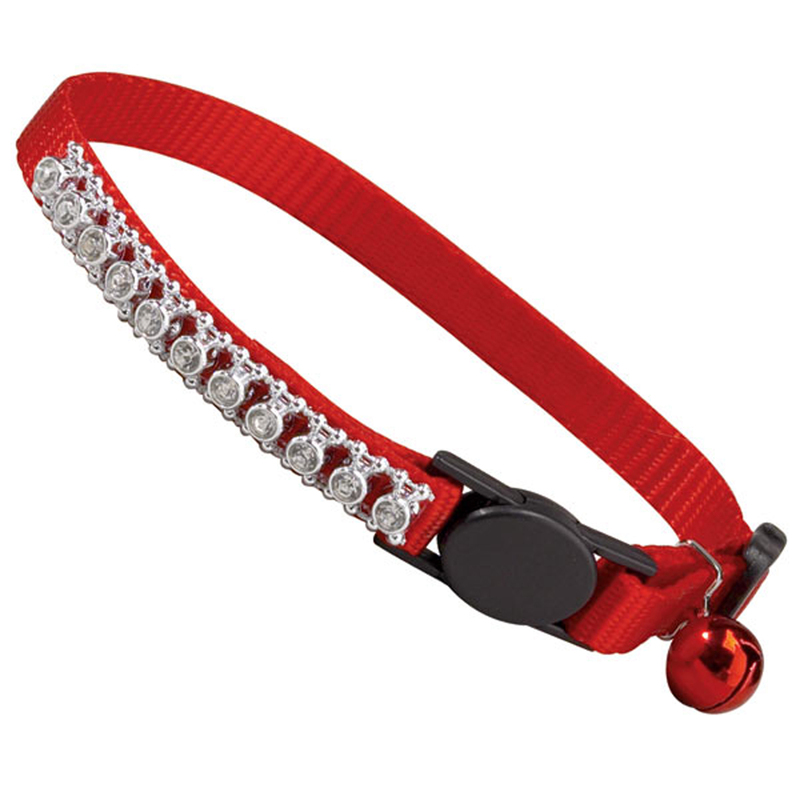 A sparkling row of rhinestones adds a touch of class to these nylon Meow Town™ Rhinestone Cat Collar in Red and gives any cat a glamorous look. The Meow Town Rhinestone Cat Collar will bring a glimmer and shine to your cat's life. Thanks to the breakaway safety buckle, you don't have to worry about your cat getting strangled. The jingle bell helps warn wildlife that your cat is in the area. This small cat collar is also ideal for tiny puppies with the jingle bell alerting owners that a little one is underfoot. The breakaway clasp is also perfect for rambunctious puppies that might otherwise get injured. Made of Nylon and rhinestones. Great for the holidays and any dressy occasion! Thank you....a very nice website...I like it a lot...lots of sales....really good!